The research of the sound is a perpetual quest encountered by all musicians, especially jazz saxophonists. It is hard to find the balance between projection, roundness, tone color, accuracy... With Syos I found a mouthpiece that meet all my requirements on those parameters, with an incredible ease of playing in all registers. The sound of Michael is bright, large and very powerful. The mouthpiece we created for him gives him the possibility to deploy easily this timbre in all the registers of the tenor saxophone. After his studies in Strasbourg Conservatory, Michael Alizon works there as the Jazz and Improvised Music department coordinator. He teaches jazz, improvisation and saxophone. He often plays in famous events in France, Europe and all around the world. 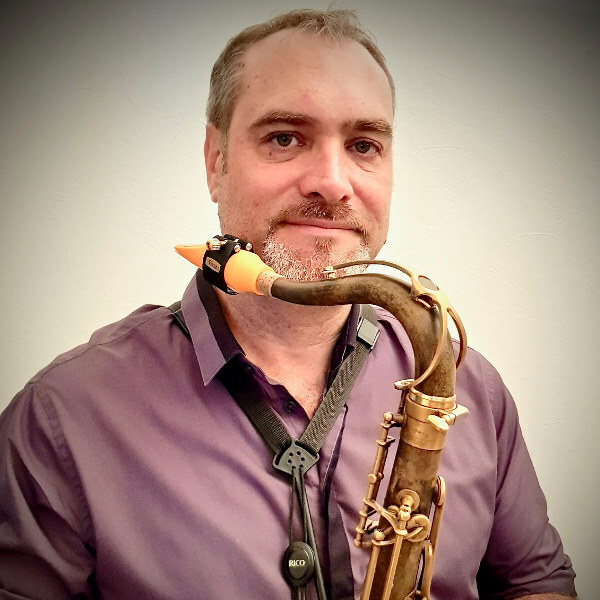 He also takes part in several recordings, especially straSax « Frags » - Choc Jazzman / Bernard Struber Z’tet « Les arômes de la mémoire » - Choc Jazzman.